Thanksgiving is only three days away and to make sure you won’t regret taking that second piece of pie, heres a spinning workout to keep your heart rate and metabolism up. It’s called Don’t Stop the Party for a reason! Also listed is a treadmill adaptation for those of you who do not have access to a spin bike. Try it both ways and let us know which you enjoyed more or which was harder! Happy Thanksgiving to everyone from XYB! Here's a playlist with a few of the songs mentioned above so you can get a feel for the kind of workout you're going to have! I did this circuit three times through, quickly, at 10-12 reps per exercise. Got my heart rate up due to no/little breaks and it felt so sweet when it was over...and best of all? It was over in 15 minutes!! Give it a shot!! For a more advanced version hold the opposite leg (not being used to step onto bench) at a 90 degree angle for 10-15 seconds then step back down. Feel free to get creative with these exercises using weights or whatever else you can think of! It’s all about what you feel comfortable with. Have fun and go Boston! Hello everyone! My name is Nicole and I am currently a senior at Simmons College studying Exercise Science. Ultimately my goal is to become a physical therapist but my heart is rooted in health and exercise. All I pretty much need is a treadmill or an open road and I’m a happy camper, although I’m pretty much up for anything new. I joined on as an intern for XYB in September and hope to entertain you all with my blog posts throughout the upcoming months. I was drawn to XYB because of the positive message that they’re sending to people. I for one am not a size 2 nor will ever be a size 2, I have flabby triceps, and my thighs are always going to touch but hey what’s a girl do? I wasn’t always happy with my body growing up but as I’ve gotten older I can honestly say that I’ve grown far more confident and comfortable in my own skin. I found that my confidence came from acceptance rather than fitting into a certain size. Keep an eye out for skinny cocktails, week and month long workout challenges and much more in the upcoming weeks. Ok...so brainy and muscular...I got it :) Let's give you a little challenge to get you through the long weekend! Lil Bro Adds his mixing skills to my playlist! Also check it out guys! I have been nominated for Boston's A-List! Best Spinning Class in Boston!! If you have a minute, I would love it if you would cast your vote! Fitness Challenge! Get password on XYB's full website, sign up now! Hi there! Here we go with the workouts for this week! The videos are available for you in your email, however if you have not received that please email me back and I will send it right away! 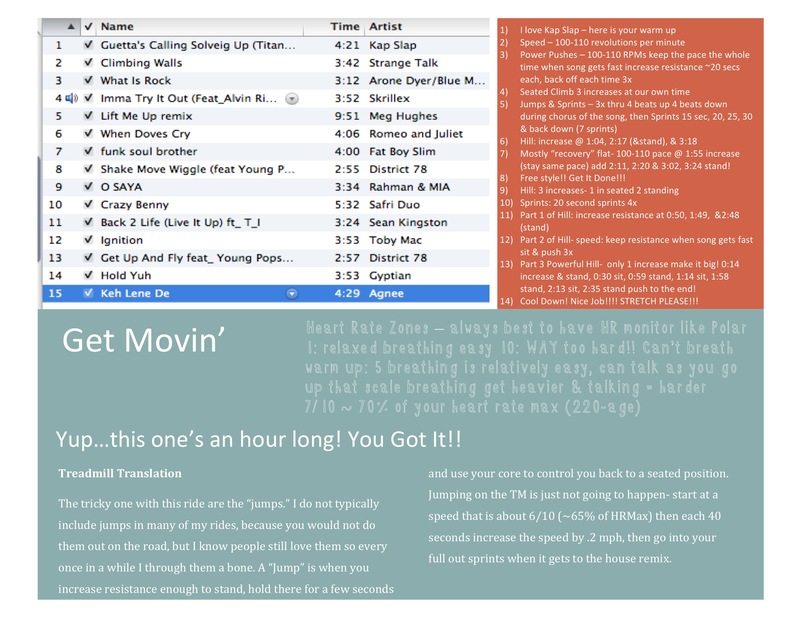 Here are your cardio playlists!! I did these on the treadmill and OH BOY!! they are great!! As always tweet me or FB post when you are done with your workouts! Let's do this folks, dedicate the whole month of February to you and your body...oh yeah and sprinkle in some pay it forward good deeds for the soul. Interested? Click it! Here's some more inspiration for you. More to come! You guys asked for it, here it is. 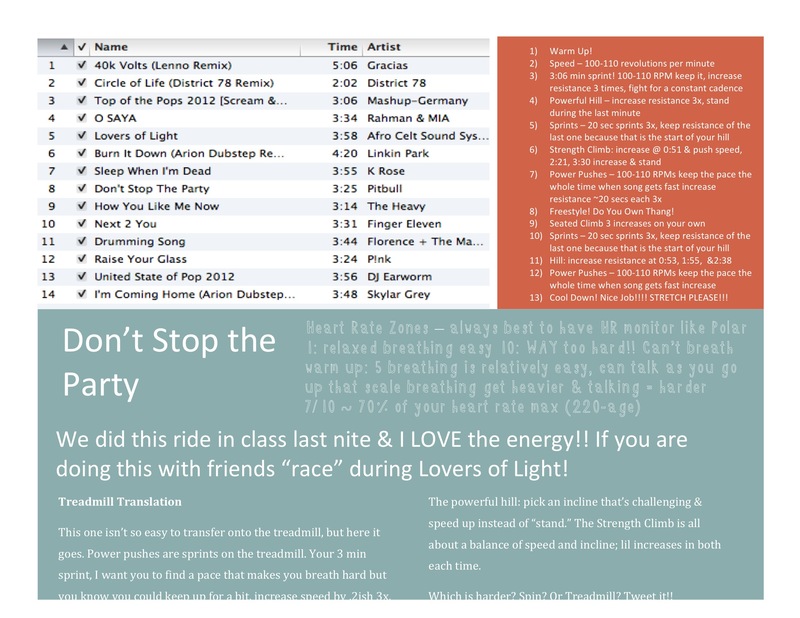 My "angry ride" spin playlist....it's not really that angry, till you get to the top of the last hill :) Enjoy & Rock Out! It is finally here!! Exercise Your Beauty's virtual studio is up and running! There is a limited schedule to start but I would love feedback and class time suggestions from you! Check it out and sign up for a class. Better yet, take a class on me...type in TryIt! into the promo code and get your first class free. Ran by live music and dancing at Gov't Center... I love this city!! Full of movement! How do you move your body?? This workout is not just for Mommies...it can be done at any time, but it does keep working out with a little one in mind :) Ok, my cousin asked me FOREVER ago for a workout for new moms wanting to get back into shape. Of course I said, “Absolutely it will be up next week!” That was totally 3 weeks ago. Even though I am pre&post natal certified I realized that because we do not have a little one running around a “new mom” workout needed a bit more research. So I have been working with some friends and clients to help this one along. Starting on your back engage through your core to gently roll all the way up. At the very top remembering to reach the hands skyward to elongate the back. Once you are up there, tuck through the tailbone and roll back downwards to the starting point, moving slowly as if each of your vertebrae could move on it’s own. This is inspired from the beautiful mobiles that we place over baby to engage them, but what is more engaging and beautiful than their mother?! Placing baby down on his/her back and hold plank...yes it is that simple! If you want to get creative “kissing push-ups” are a great way to play and connect with your little one, it also gives you an incentive to go a bit closer to the floor than you may be use to. Please feel free to do those on your knees. I hope this helped and I will continue to play around with ideas for all the new mommies out there!! Congrats and enjoy!!! If I hear it one more time I may scream, “I don’t really want to do a lot of heavy weight because I do not want to bulk up.” Ladies, you may think that doing hill work in spin class is making your jeans tight or those squats are going to give you huge muscular thighs...we just do not have the hormone composition to build muscles as big as the boys. I also guarantee you that if you went up to the most muscular man in the gym and ask him how he built up his size he is NOT going to say Meg’s spin class! Long, lean, feminine physiques start on the inside and shine their way out. We need strength, running all over the place doing a million and one things, and of course getting it all done without breaking a sweat takes training and talent. Not just for leg work, get a nice strong core with a BOSU plank. To add some upper body strength try injecting 8 push-ups between 10 second holds. Run through 3 times without breaking and you have the perfect toning exercise! Harness that inner beauty and fuel your workouts with strength, power, and grace.